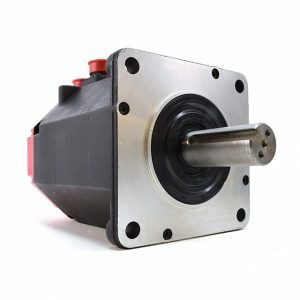 FANUC Servo Motor Repair | Lakeside CNC Group, Inc.
Lakeside CNC Group, Inc. charges significantly less than our competition for any type of repair the FANUC servo motors. Free evaluation. Free repair reports. Free technical support. Free pick up services. Call 630-616-0039. At Lakeside CNC electronics we provide a FANUC Servo Motor Repair service, including a free servo motor evaluation, expedited repair service and, as always, we provide free technical support. Our FANUC servo and spindle motor repair service includes free evaluation and a quote in approximately 1 day after we receive your motor. The evaluation comes at no risk to you; all you pay is shipping. Once we receive your approval to repair or rebuild you servo or spindle motor, the repair will typically be completed in 7 to 10 working days depending on parts availability and workload. If an immediate repair or rebuild is needed, please call us immediately. Lakeside CNC Electronics commitment to providing our customers the highest quality FANUC servo motor repair service includes using the highest level of technology available to us. All repairs are tested, diagnosed, and ran on original FANUC drives and CNC controls. Our repairs always meet or exceed manufacturer specifications using OEM FANUC parts. All FANUC motor repairs are done using the highest level of technology available to us and all electric motor repairs are fully tested on the appropriate FANUC test simulators to simulate real operating real operating environments and loads. At Lakeside CNC we repair most FANUC servo motors including, but not limited to, the following series: A06B-0613, A06B-0631, A06B-0632, A06B-0601, A06B-0602, A06B-0614, A06B-0642, A06B-0651, A06B-0615, A06B-0632, A06B-0641, A06B-0601, A06B-0313, A06B-0134, A06B-0315, A06B-0512, A06B-0513, A06B-0750, A06B-0751, A06B-0752, A06B-0753, A06B-0754, A06B-01, A06B-02, A06B-03, A06B-05, A06B-06, A06B-07, and A06B-00. New, refurbished and repaired FANUC motor come with a 1 year warranty. Brand new and refurbished FANUC servo motors are ready for exchange. Check out AC Servo section in our online catalog! DC spindle motors and AC spindle motors also available.